The people at Vulture know exactly what we want. 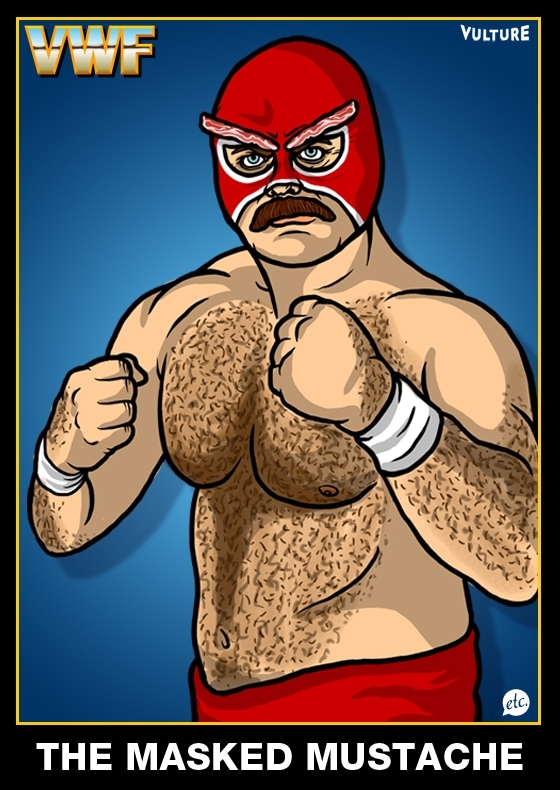 This entry was posted in Animated Steesh, Ron Swanson Steesh and tagged arts, Moustache, mustache, Nick Offerman, parks and rec, parks and recreation, ron swanson, ron Swanson cartoon, ron swanson wrestler, the masked mustache, vulture on August 7, 2012 by Los Bulls. Ron Swanson is the love of my life… right after Alec Baldwin.